Preferred by professionals. The Legere alto saxophone Signature synthetic reed with a strength of 3.5 produces a bright yet focused sound, perfect for both jazz and classical performances. Featuring a stiffer material which is cut thinner than traditional cane reeds, the flexibility across the tip of the reed is overall increased. This results in a full spectrum of colourful overtones achieved with minimum effort, whilst also allowing the reed to be easily played and beautifully free-blowing. The Signature reed for alto saxophones responds without hesitation, producing warm, rich tones in all registers. 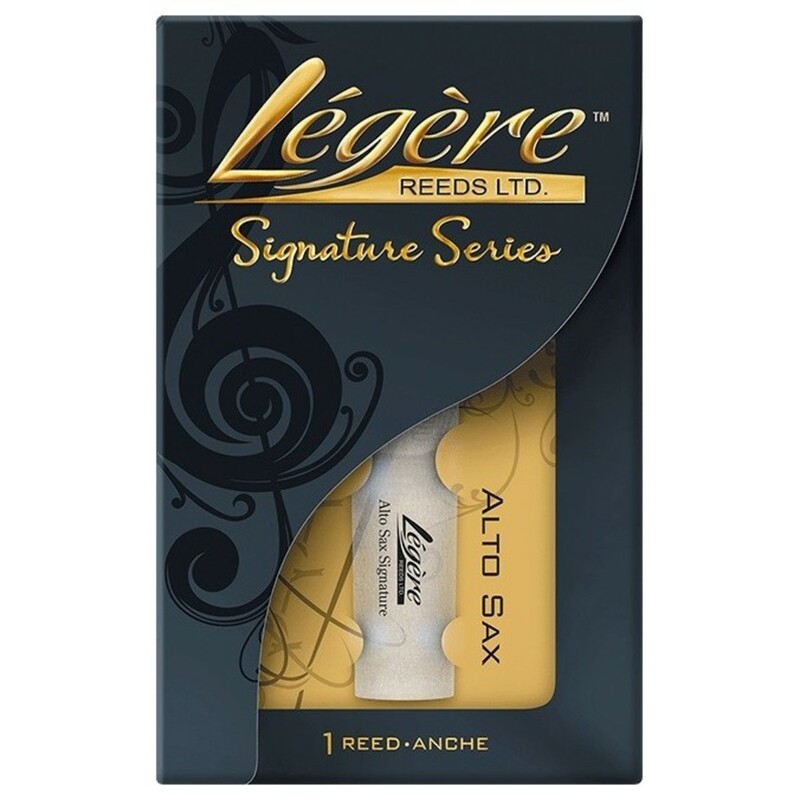 Offering the highest of quality and maximal durability, you will not be let down by your Legere reed.